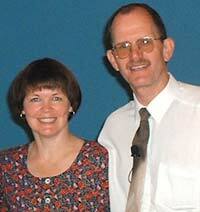 Over 20 years ago, I, with others, began ministering on creation/evolution issues in Australia. At the time, we could see how the church in our own country was struggling and often compromising its Biblical integrity in the face of the ever-increasing attacks from those hostile to Christianity. Most Christians were not equipped to provide answers to a ‘doubting’ world in a so-called age of science. Keep up to date with the latest creation information! Keep your family informed on the latest easy-to-understand evidences for creation and against evolution! This unique full-color family magazine gives God the glory, refutes evolution, and gives you the answers to defend your faith. Exciting articles and great witnessing material you won't find anywhere else! Includes a beautifully illustrated full-color children’s section in every issue. Powerful ammunition to intelligently discuss nature, history, science, the Bible, and related subjects. Delivered to your home every three months! From those humble beginnings, a fully-fledged creation ministry, now called Creation Ministries International, has spread around the world. Our flagship Creation magazine now goes to subscribers in over 120 countries, and the CMI Web site, a world-class dynamically changing operation, contains what is likely the most comprehensive online repository of creationist information. It is clear that CMI has ‘struck a chord’ with countless believers worldwide, who are seeking ‘answers’, ammunition and encouragement to be able to more effectively defend, understand and proclaim their faith. Their own experiences have caused many to become passionate supporters of CMI’s ‘creation’ evangelism. Their faithful support has enabled us to pioneer outreach in several new countries. CMI now has sister offices and resident speakers in Australia, Canada, New Zealand. All of these are legally autonomous and supported from within their own country, but able to share in the full benefits of the publications, Web site, information and experience of the whole group. We are excited that the Lord has now created the opportunity for a full-time Creation Ministries International office to commence in South Africa. God has raised up a number of faithful individuals in South Africa who have long seen the crying need for sound creation ministry in their country. We believe that a ministry there, once established, can also be a springboard to reach people in other African countries, as we’ve found that no matter where we travel, the questions are the same—dinosaurs, carbon dating, distant starlight, fossils, who made God, etc. This new ministry will be located in Cape Town. The CEO of the new CMI-SA, Dr Johan Kruger and his wife, Dianne (left), visited our Australian HQ office, at their own expense, for extensive discussion and training a few months ago. Dr Kruger has very high scientific credentials, including a Ph.D. in zoology. The ministry can be run from his home first, though we trust that it will soon have to find rented premises as the Lord enables its expansion. Like all national CMI ministries, CMI-SA will not be left to its own devices to struggle unaided. CMI-International, accessing a worldwide network of creation ministry management and scientific expertise, will be there to guide, support, direct and encourage. To kickstart this ministry, which needs to be sustained via ongoing local support, a substantial ‘opening stock’ of books and other materials has been donated from within the CMI ‘group’. Please pray for all involved in this venture, undertaken in fear and trembling, but conscious of the great need and the Lord’s leading. If you live in South Africa, and would like more information on this new ministry, please write to: Creation Ministries International, PO Box 3349, Durbanville 7551; call: (021) 979 0107; or email.